I've never been a fan of the topknot on myself - regular buns always looked a little sad on my head, and my hair is a bit to thin for a sock bun to work. Then I saw this little gem on Pinterest, and my whole view on topknots was changed. This version sits a little closer to your head, but is actually two buns twisted around each other which adds a little more volume. I've rocked this almost every day over the past week - this could be love. And now for a little giveaway! 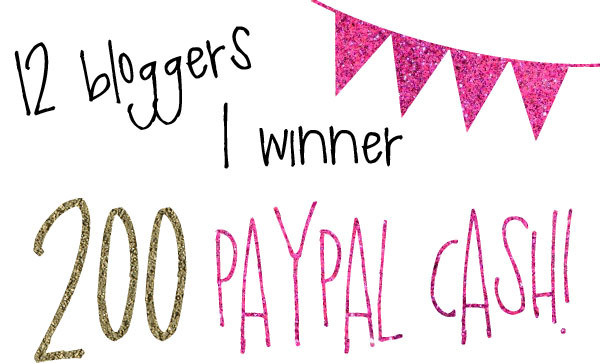 To celebrate Dani and Ainslee's birthdays, we teamed up to giveaway $200 in Paypal cash. To enter, just use the Rafflecopter widget below. The giveaway will be open until 7/13 at midnight MST. Thank you to everyone who entered the giveaway, the winner is Amy Harris. Your hair looks fab like this! I'm going to have to give it a try! Love the twisted topknot! I wonder if my hair is too thick?? That topknot is AWESOME! Do you still have the tutorial? I'm definitely going to have to give that topknot tutorial a try! I can't ever seem to get it to look right on me, but this looks like it has a little more volume. Thanks for sharing! Love the twisted top knot!! Ooh so pretty. I've got to try that one out!! Love love love your hair! I've got to get on this sock bun/twisty bun trend! Probably not, since you twist in two different sections it would give you more opportunities to add pins. I bet it would work! I'll buy myself a new hair dryer, geez need it!